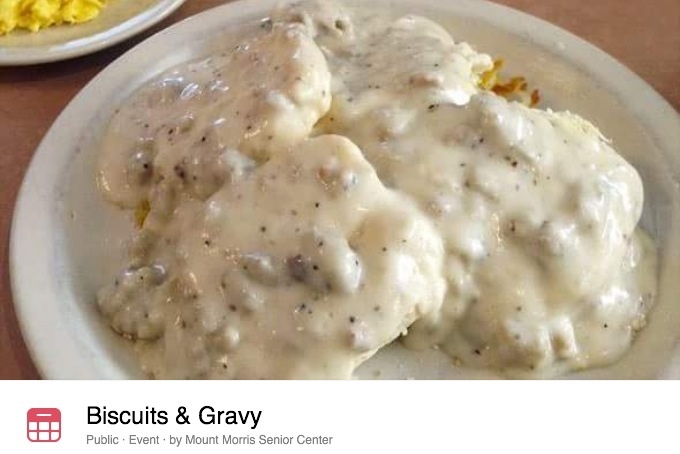 Mt.Morris Senior Center – Biscuits and Gravy Breakfast every Wednesday thru 11/21! Join us for biscuits and gravy at the Mt. Morris Senior Center every Wednesday! $2 for a half order and $3.50 for a full order plus coffee, tea, or water for $.50! Come on down to 9 East Front this Wednesday!